According to the Boston Globe, Metabolix announced a collaboration today with the Cooperative Research Centre for Sugar Industry Innovation through Biotechnology, an alliance of Australia's sugarcane biotechnology research organizations, to develop natural plastics from sugarcane. Metabolix is a Cambridge developer of biodegradable plastics whose stock jumped last month after it said it would join Archer Daniels Midland Co. to make the first fully biodegradable plastics from corn. The company is now looking at the tropical grass crop as an alternative feedstock: "Sugarcane is currently the premier biomass crop for biofuels, and we believe it can be developed to produce an advanced biorefinery feedstock for the production of natural plastics, fuels, and chemicals, significantly expanding Metabolix's global reach," Metabolix chief scientific officer Oliver Peoples said in a statement. 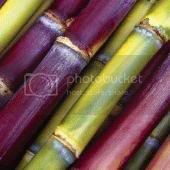 Many scientists, including researchers in small developing countries have recognized the potential of sugarcane as a leading crop for the development of 'green chemistry'. The tiny island state of Réunion, for example, recently launched an ambitious research program aimed at building a biorefinery in the next four years, that will produce bioplastics, detergents, tinctures, drugs, glues, gels, and biopolymers resembling nylon, from molecules and chemical building blocks derived from sugar cane (earlier post) [entry ends here]. Chevron Energy Solutions, a Chevron subsidiary, today announced that it has begun engineering and construction of an innovative and ultra-clean energy system at the Californian city of Rialto's wastewater treatment facility that will transform wastewater sludge and kitchen grease from local restaurants into biogas. The environmentally friendly system will increase municipal revenues, reduce landfill wastes and lower greenhouse emissions by nearly 5.5 million tons annually, while decreasing the city's energy costs by about $800,000 a year. The system includes a 900-kilowatt fuel cell power plant, manufactured by FuelCell Energy, that will generate electricity without combustion using methane, a biogas produced naturally on site by the organic materials contained in wastewater. The same company earlier delivered the technology for the first large biogas powered fuel cell system in Germany, where dedicated energy crops are used for the production of the methane (earlier post). "Through energy efficiency, renewable power and innovation, this system solves a messy problem for cities," said Jim Davis, president of Chevron Energy Solutions. "By looking at wastewater treatment operations holistically, we're helping Rialto and other cities transform an urban waste into an asset." At the Rialto facility, a FOG-receiving station will provide an effective disposal alternative, reducing the amount of FOG sent to landfills. It also will provide a revenue stream to the city through "tipping fees" paid by grease haulers for each disposal. Meanwhile, the fuel cell plant and other energy-efficient improvements will reduce greenhouse gas emissions by 11 million pounds of carbon dioxide annually, equivalent to removing 1,080 cars from the road each year. In Rialto, a Los Angeles suburb of about 100,000 residents, forecasted population growth necessitated the expansion and upgrade of the city's aging wastewater treatment facility. The project, which costs $15.1 million, is eligible for a $4.05 million rebate on the fuel cell plant cost from California's Self-Generation Incentive Program, administered by Southern California Gas. The remaining cost will be self-funded through energy cost savings and FOG station revenues, without any impact on local taxpayers. "Our city council and I are delighted to have found a solution with so many benefits all around," said Grace Vargas, Rialto's mayor. "It's a 'win' for multiple stakeholders -- our city taxpayers, restaurants, grease haulers, and the environment." Chevron Energy Solutions will proceed with engineering and construction of the project over the next few months. Project highlights include installation of the FOG-receiving station; repairs to the current digester equipment, where methane is naturally produced from organic matter; a new automation system and controls; a high-efficiency boiler; and three 300-kilowatt Direct FuelCell(R) units that will convert methane into hydrogen and then use the hydrogen to generate power electrochemically, without combustion. In addition, the residual waste heat from the fuel cells will be put to work to warm the digesters to human body temperature, to stimulate further methane production. Fuelcell Energy sold its fuel cell plant to Rialto through Chevron Energy Solutions and will maintain the plant after it is installed. Because of its ultra-clean emission profile, the plant meets California's stringent air quality standards and is expected to be sited easily. It will also provide baseload power around the clock. "Rialto can make use of existing resources and generate high efficiency power that is environmentally friendly while saving money on its energy costs," said William Karambelas, vice president of business development of FuelCell Energy. "This is a consistent and compelling story from both economic and environmental standpoints." Federal member of parliament Eliene Lima (Progressive Party) is to present [*Portuguese] a proposal for legislation today that aims to offer incentives to cattle farmers and ranchers to help produce biofuels in Brazil. According to the proposal, pasture and land owners (many of whom do not use their land to rear livestock at all) will be encouraged to plant jatropha, sugar cane and other biomass energy crops. The incentive consists of special credit and financing means that can be obtained from the Sudam (Superintendência de Desenvolvimento da Amazônia) and the BNDES (Banco Nacional de Desenvolvimento Econômico e Social). Brazilian researchers say some 200 million hectares of pastures in the country are currently not used for productive purposes because they are degraded. This massive expanse of land can be restored by planting biofuel crops (earlier post). Eliene Lima says "On a global scale, both in Brazil as elsewhere, ethanol and biodiesel are the focus of attention. In order to manage and expand the 'boom' in biofuels and to share profits amongst key stakeholders, banks, industrial ethanol producers, manufacturers and farmers are collaborating intensively. This interest shows the market is very promising and expanding rapidly. We must now give incentives to rural producers so they can participate more in this market." Lima adds that in 2007, Brazil will achieve its largest sugar cane harvest in its history. Estimates put it at 491 million tons. "The world is beginning to understand the importance of this potential. Brazil can supply the market and will become the global leader in biofuels." With the incentives put forward in the legislation, all farmers including smallholders in the country are given an opportunity to help strengthen Brazil's agro-industrial base. Lima thinks the law, which guarantees access to capital, will boost the number of jobs in the sector and keep Brazil becoming more energy independent. In order to encourage the production of biofuels that benefit small farmers, Brazil earlier introduced a policy called "Social Fuel", that offers incentives to producers who invest in and involve poor rural families in feedstock production (see our in-depth analysis of the "Social Fuel Seal" policy) [entry ends here]. Karanj (Pongamia pinnata) and Jatropha are the two plants India is focusing on for promoting the production of biodiesel, as the country launches a nationwide biofuel mission. Meanwhile, India has started blending 5% ethanol in its gasoline supply, starting in the state of Andhra Pradesh. A committee of experts was set up by the Federal Planning Commission, which will study and suggest measures for the promotion of biofuels development. In a recent report submitted by the committee before the commission, the committee has recommended the government to launch a countrywide biofuels mission focusing on encouraging the cultivation of the two seed-baring, drought-tolerant perennial tree-crops. India’s spending on oil imports is currently somewhere around 1600 billion rupiah (€28.8/US$39 billion) per year. Nearly 70% of oil demands are met by imports in the country. Considering the global spike in oil prices, India urgently wants to reduce these imports, partly by investing in biofuels. the objective of the mission is to attain the goal of 20% blending of biofuels with diesel and gasoline nationwide. under a first demonstration phase Jatropha and Karanj plantations would be established on 400,000 hectares of government-owned land. in the second phase of the mission, Jatropha will be cultivated on not less than 11.2 million hectares of government-owned as well as private land for increasing biodiesel production. If India wants to replace 5% of its liquid fossil fuels with biodiesel it must produce some 2.6 million tons per year. A number of private players in Maharashtra and Tamil Nadu have already commenced the plantation of Jatropha under a contract farming system. A report by industry research organisation RNCOS on the Indian Biofuel Industry notes that "The biofuels market in India is largely based on ethanol - derived from the molasses of sugarcane - and biodiesel obtained through non edible oil seeds, for example pongamia and jatropha. The primary objectives of the government for encouraging the biofuels industry include environmental factors, plus security and diversity of energy supply. This is also working as the key driver for the growth of biofuel industry in India." As part of its commitment to set up policies for enhancing energy security in the country, the government has taken up this initiative. Launch of the EBP program is viewed as a remarkable step towards the use of alternative renewable, eco-friendly energy sources such as ethanol so that hydrocarbon resources can be supplemented in the country. The interest of India in ethanol was manifested when the country embarked on three pilot projects. Of which one was launched during June 2001 in Uttar Pradesh and the other two were in Maharashtra during April same year. During 2002 a policy for ethanol was announced, which envisaged blending 5% ethanol (obtained through sugarcane) with petrol. There are various proportions in which ethanol can be blended with petrol. Often, 5-10% of ethanol is mixed with petrol and this blend can drive most cars, without requiring any modification in their engines. In fact, percentage of ethanol can be augmented up to 24%. The EPB program is managed by the Petroleum & Natural Gas Ministry and is primarily anchored in domestically produced ethanol - obtained through sugarcane molasses. The project will augment availability of fuel in the country and help sugarcane-growing farmers get better returns. It will also help in saving some foreign exchange as well as ease up the impact of tensions in oil-producing regions on oil suppliers in India. PRMinds: India Launches 5% EBP Program in Hyderabad - May 7, 2007. Newswire: Karanj and Jatropha - Key Elements of New Biofuel Mission in India - May 7, 2007.